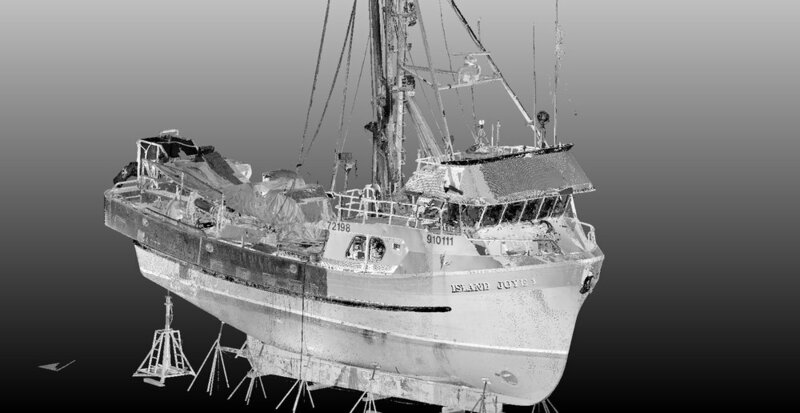 We were approached by Ocean Pacific Marine to perform a 3D laser scan of a fishing vessel that ran aground. There had been damage to the hull and issues with the keel. Surface and Edge 3D undertook scanning of the complete hull as well as decks and pilot house. Using the laser scan data, a highly accurate as-built 3D model was created by our partners at 3D Reverse Engineering. With the as-built model in hand, Naval Architects at Polar Design Sales were able to better assess the damage and also perform a stability analysis.